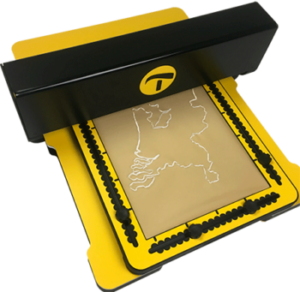 These three main components come pre-assembled. 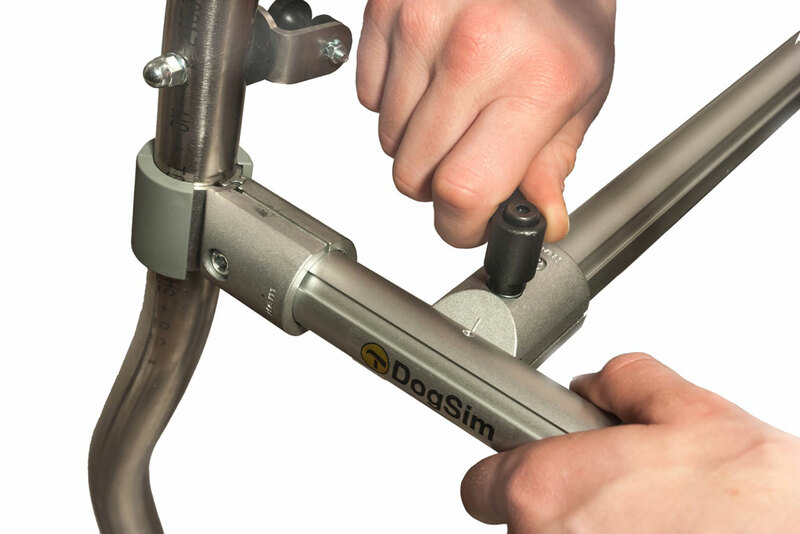 The DogSim can easily be assembled by connecting the three sections with small adjustable handles without the need for any tools. Hold the front section upright and connect the middle section with the end connector to the profile of the horizontal crossbar of the front section. Align the indicator on the connector with the dot on the crossbar. Tighten the adjustable handle on top of the connector. 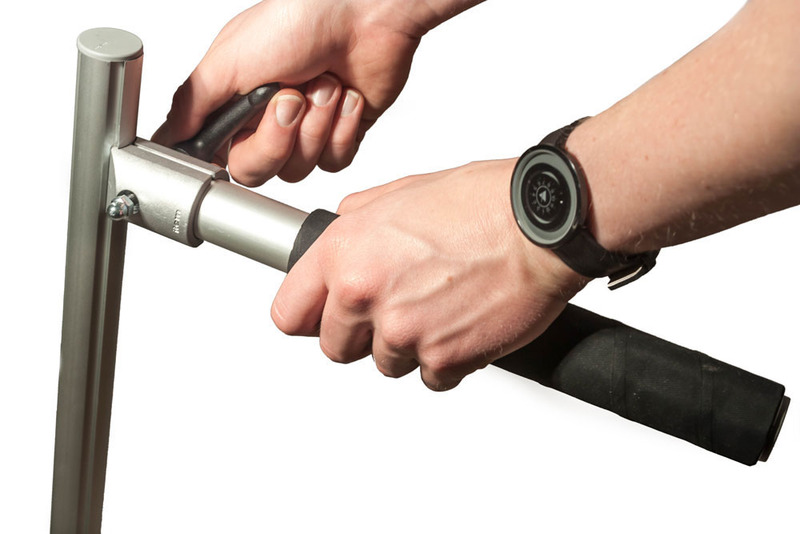 Make sure the connector grips securely around the profile of the crossbar. 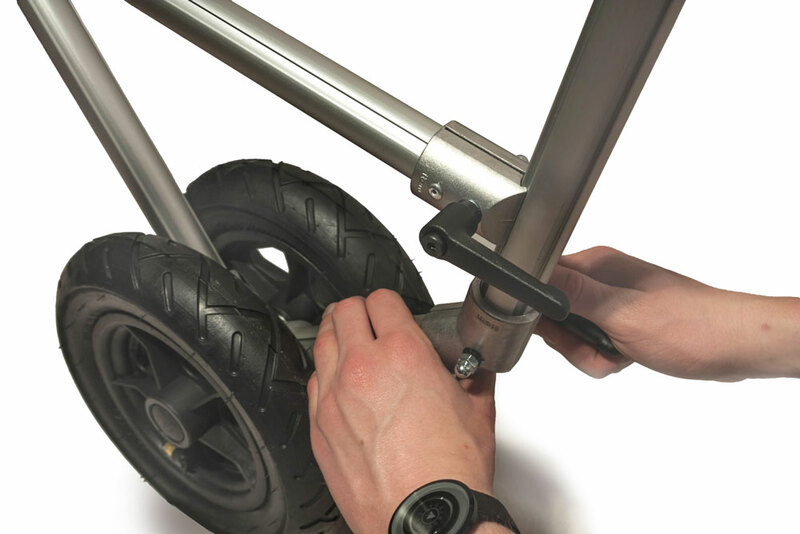 Place the tail section behind the rear wheels with the handlebar pointing backwards. If necessary untighten the two connectors of the middle section. Hook the upper connector around the profile of the tail section. Thighten the upper handle first, followed by the bottom handle. Readjust the height of the handlebar if necessary so the DogSim can be controlled and steered comfortably. 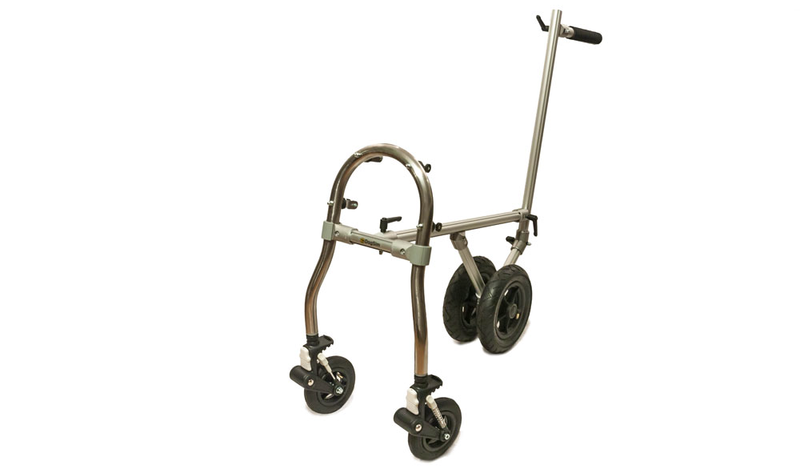 Connect your guide dog handle to the upper or lower pair of points of attachment. 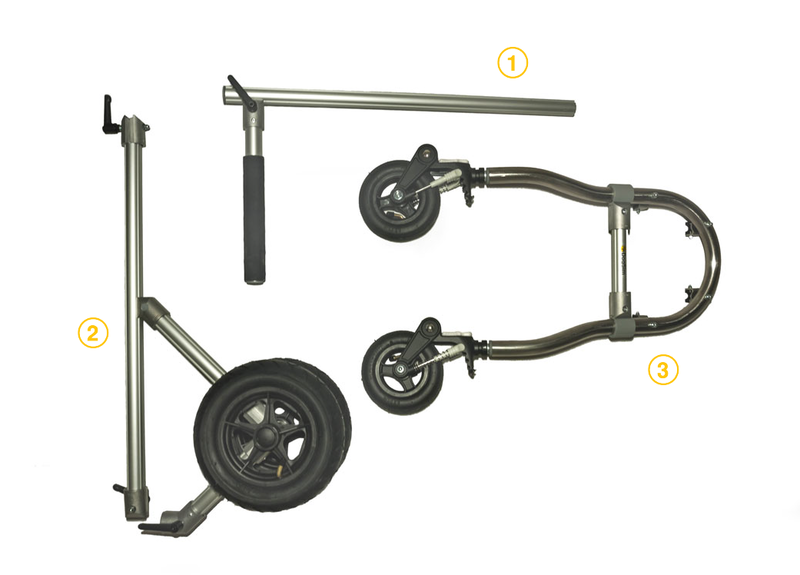 Note: The adjustable handles can be tightened strongly for sufficient sturdiness of the frame. 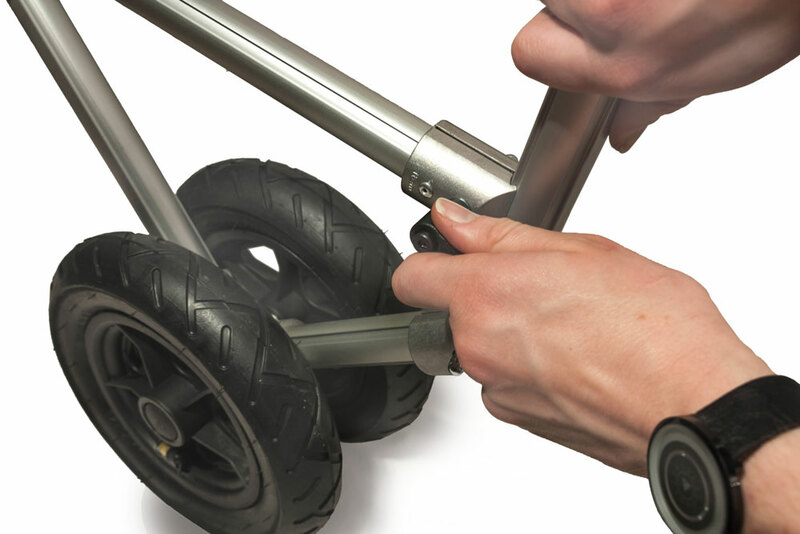 By pulling the handle outwards they can be repositioned without (un)tightening the bolt. This way you can apply the required force more easily. 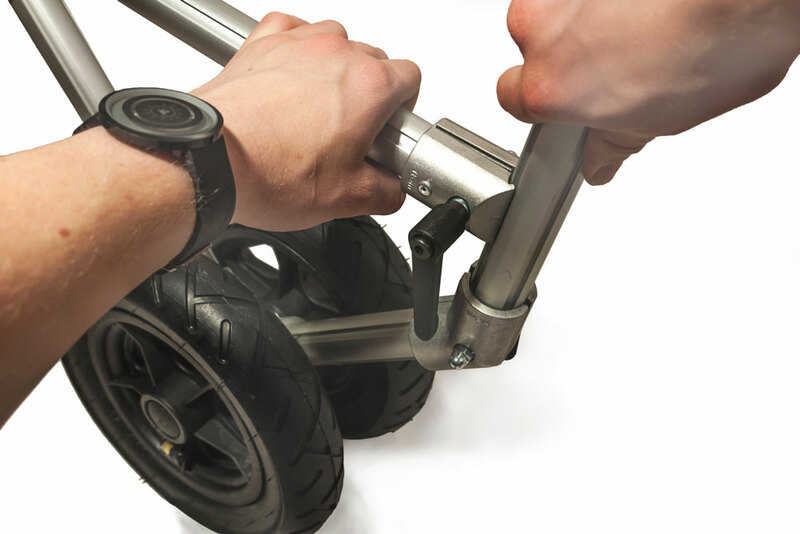 The acorn nut on the other end of the bolt will prevent the adjustable handle from completely unscrewing. The tires of the DogSim can be inflated with air valves. From time to time, check if the air pressure is still sufficient. These valves are normally found in car tires, but with an adapter the DogSim tires can be inflated with a bicycle pump. 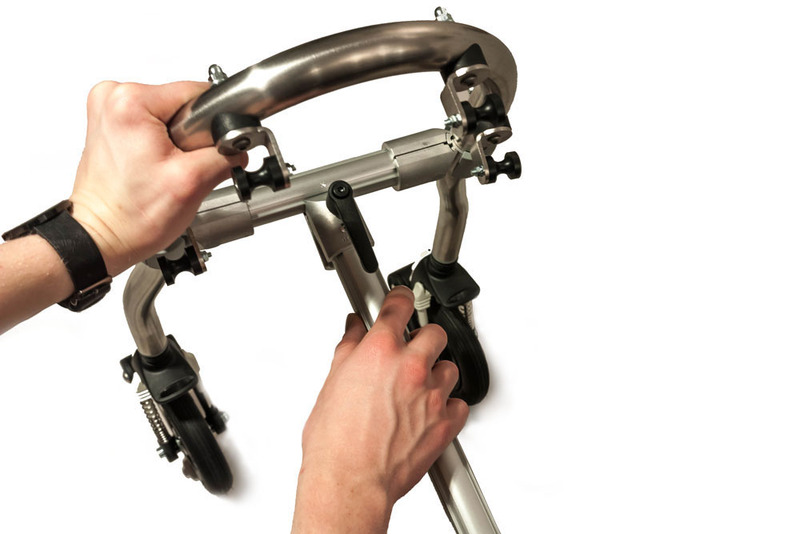 The other components require very little maintenance due to the use of stainless steel (front section) and aluminium (other tubing). Protective covers on the exposed ends of the tubes protect the components from bumping into obstacles and weather conditions.